If you're an iPhone user, you must be aware of its unavoidable storage issues. With all incomparable features wrapped in a high-end iOS device, it endures no room for addressing storage problems faced by iPhone users. Be it synchronizing your favorite songs with iTunes, downloading photos or watching videos and tutorials, in short everything you do on your iPhone require enough storage space. Lastly, how can we forget the challenge of updating our iOS that takes up most of our free iPhone memory? Though we love our devices and their working so much that we can’t give up on them, but we can always try fixing the memory issues that we are encountering. Check out the most recommended free iPhone Cache Cleaner which will ease your busy life. Meet the exceptional free iPhone cache cleaner, iMyFone Umate Free! This is the top rate junk & temporary cleaner for all iOS devices, including iOS 11. After downloading this free cache cleaner for iOS, you just need to sit back and relax! iMyFone Umate Free knows its job and will do the better way with just one click, providing all iOS users with a hassle-free experience. 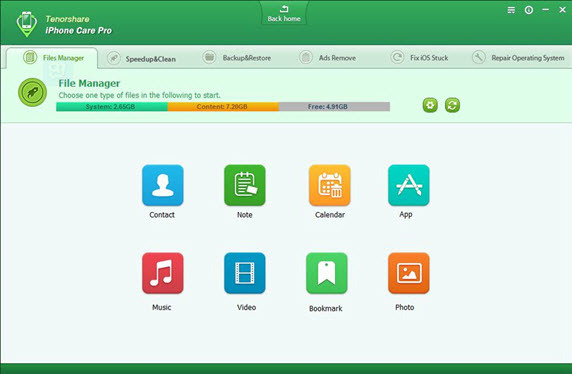 It can clean up junk files which include caches, cookies, crash logs, camera roll, photo stream etc.. What’s more, it can clean up temporary files like user storage files and corrupted files. This is a unique data cleaning software. It executes a detailed space saving analysis to identify how much memory can be freed after cleanup process. 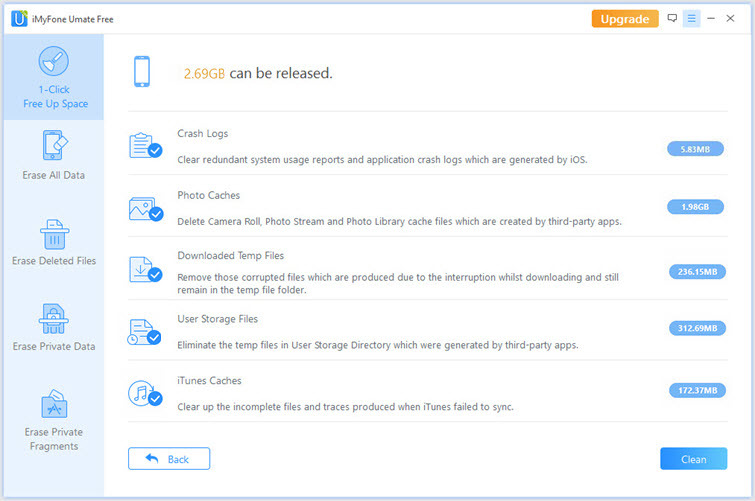 Sweeps away 30+ types of junk files, which includ app caches, cookies, crash logs etc. 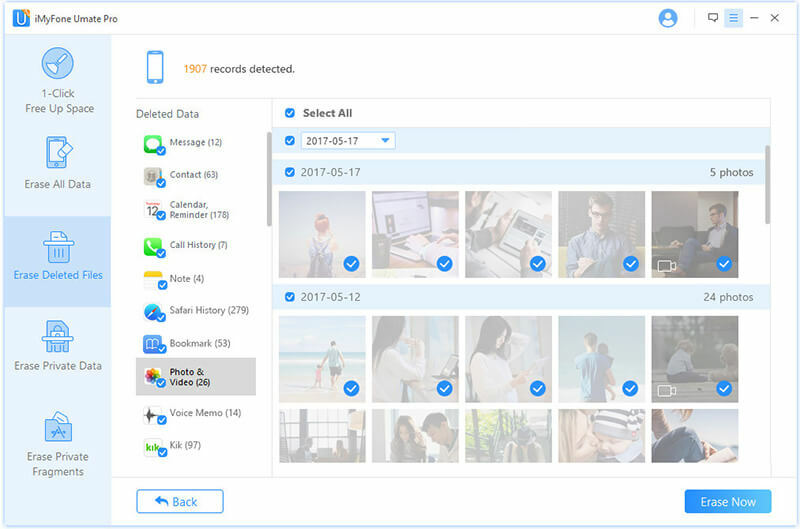 This smart cleanup removes tons of unwanted temporary files without affecting or taking away the useful ones from your iPhone. It’s simple and quick as compared to other free iPhone memory cleaner. Macgo Free iPhone Cleaner is an iOS cleaning tool that can permanently remove junk files on your iPhone/iPad/iTouch. Whether you're running short of space or memory on your iPhone, iPad, or iPod , this amazing and free iPhone memory cleaner is always there to rescue you. After the cleanup, it could free up a lot of iPhone space. However, it only supports Mac system. It follows a simple 3-click process to move out the junk residing in your iPhone. It is user friendly and sweeps cached data, junk files and cookies as well. Tenorshare Free iPhone Care is an application capable of cleaning up your iOS device system and improving its performance. It can perform thorough scans of all the items and application installed on your device. The application enables you to select which areas of your device it should scan and which should be excluded from the process in order to protect the existing data. Tenorshare is an interesting free tool that allows you to optimize your iPhone iOS 11. It safely removes all useless files and junk to speed up and clean your iPhone. Pick one free iPhone cache cleaner (iOS 11 supported) out of the top 3, offering the most convenient and amazing features. Download the one that is easy to use, quick and hassle free. In our super-busy routine, we require everything to be done in a smart way and without much intervention. iMyFone Umate Free is an all rounder among the 3 free cache cleaner for iPhone, it requires just one click, offers smart cleanup process. Cleaning junk files with iMyFone Umate Free can be easily accomplished using the following systematic steps and guides. Step 1: Run the program and connect your iOS device to it. Step 2: Scan your iOS device for a full space-saving analysis, and iMyFone Umate Home Interface will appear. Step 3: You can choose the smart-space releasing option, or one-by-one space releasing option. I advise that you choose the former in order to save yourself some stress and time. With 25+ analysis technologies, clear up all junk and temporary files, 1-click for analysis and cleaning. Losslessly compress photos and reclaim 75%+ photo storage with auto backup for orginal photos. Mass export/delete photos or large files to save huge space, with auto backup on PC. List all Apps installed on your iPhone according to size, and remove apps in quantity easily. Erase iOS data from iDevice to avoid privacy leak, all messages, call history, notes, voice memos, WhatsApp/WeChat messages & attachments etc. can be erased, and the erased data is 100% unrecoverable. Detect and find out all your previously deleted files on iPhone and permanently erase them with on chance to recovery. Erase private fragments for third-party Apps to avoid privacy leak. Supported Apps: WhatsApp, WeChat, Snapchat, Kik, Instagram, Facebook, Twitter, YouTube, Skype, Chrome, Line etc. Why should We Permanently Erase Private iPhone Data in iOS 11? Erasing iPhone data permanently has so many benefits that come with it. Though you may not see them as benefits in a way because it seems more preventive than cure, however, you may need to look at the following reasons why you need to utilize iMyfone Umate mate in permanently eliminating your iPhone data. Preserving assets, limiting electronic waste, and preserving the environment: Permanently erasing data offers an alternative for physical destruction of the hardware, Smartphone, iPhone or iDevices due to the data content in it, which the owner does not want to expose. Hence, by over-writing data for a series of time, it becomes unrecoverable thereby preserving assets for which there won't be any need to destroy, limiting electronic waste generated in disposing the assets, and preserving the environment. Prevent every form of data breach: At the retire or refurblish of your iDevice, there is always need to use a software based data erasure to clean up every trace of data that is left in the device. And the best way to eliminate iPhone data permanently in order to avoid data breach is through iMyfone Umate Pro.